I haven't been to Manhattan in a really long time. The train ride is around an hour and fifty minutes to get in to the city from where I live. My friend and I decided to have a Mom's day out. We went the day before Mother's Day. 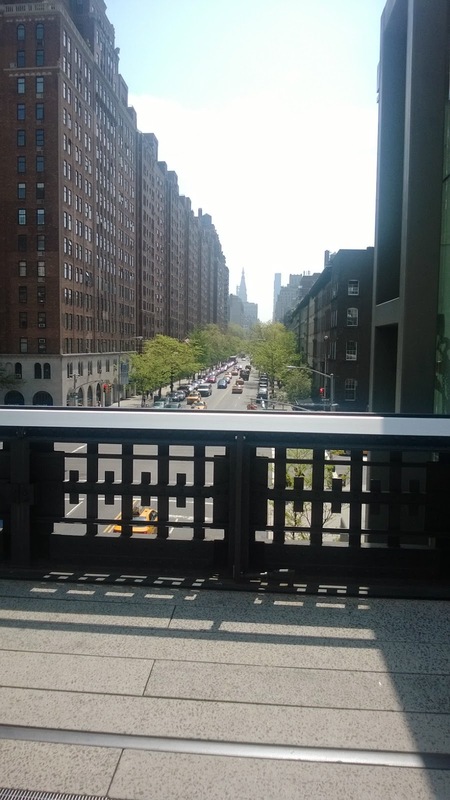 It was my first time walking on the High Line. I think it's a much nicer walk then on the streets. There are flowers and pretty trees and fun things to take photos of. I love looking at all the interesting buildings in the city. 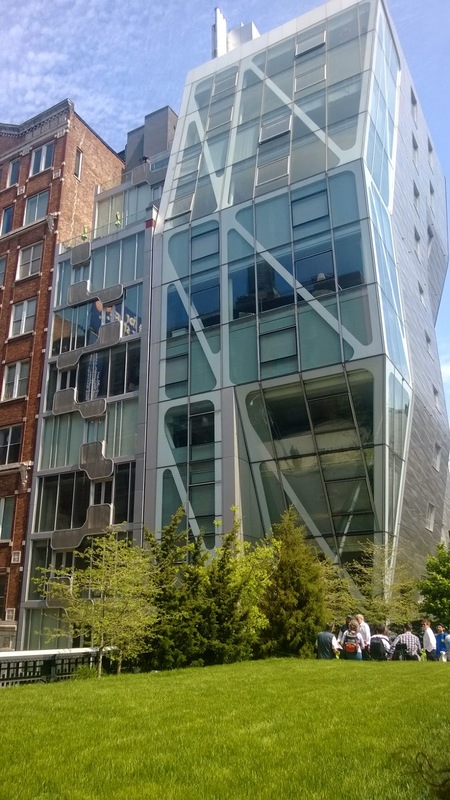 You can see old and new architecture all through out Manhattan. 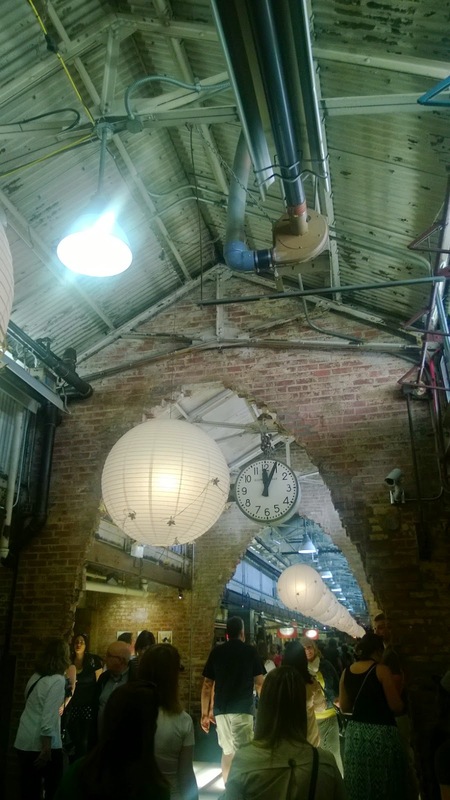 We went to Chelsea Market for lunch. I've never been there before and must say I really enjoyed it. I liked the structure and decor on the inside of the building. There are many different places that offer food, coffee, and delicious bites to eat. 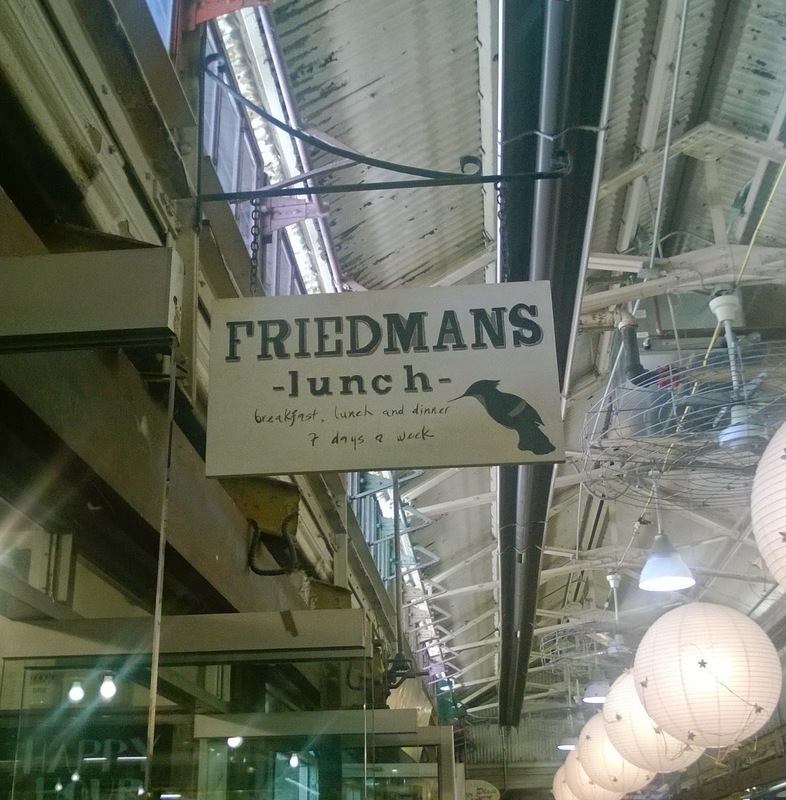 We had lunch at Friedman's. I should have taken a photo of my lunch. It was great. And so were the Peach Bellini's! I would definitely recommend Friedman's for lunch. We also hit Eataly, which was super busy. It offered a large Italian market, gelato, espresso, food, and wine. Then we worked our way up to Times Square. I have to admit that Times Square is so busy that it gives me anxiety. If you have never been to NYC before, you need to go there for the experience. Next time around, I will be avoiding it. It was a lovely day out. You can never get enough city life. Do you live near a major city? Have you ever been to NYC? If so, what is one of your favorite things to do there?